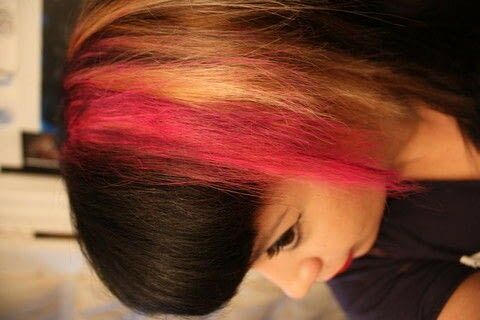 The color will last 1 to 2 days, depending if you was it or not. The color comes out with shampoo. 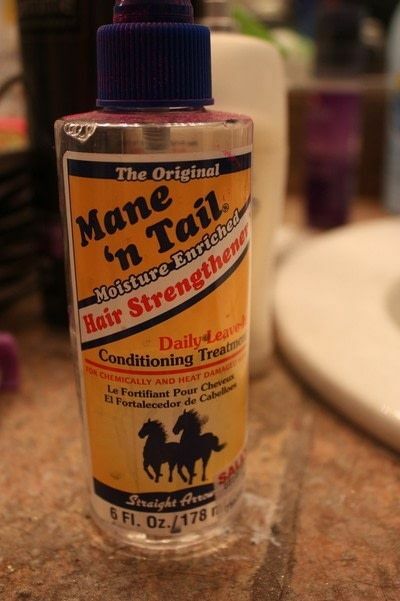 I used Mane 'n Tail conditioning treatment spray I got at Sally Beauty Supply. 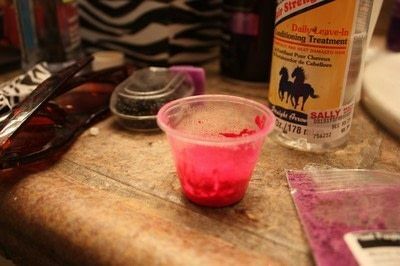 If you want to color your hair with a pressed eyeshadow pigment, simply scape some of the pan with a small stick or spatula into the cup. 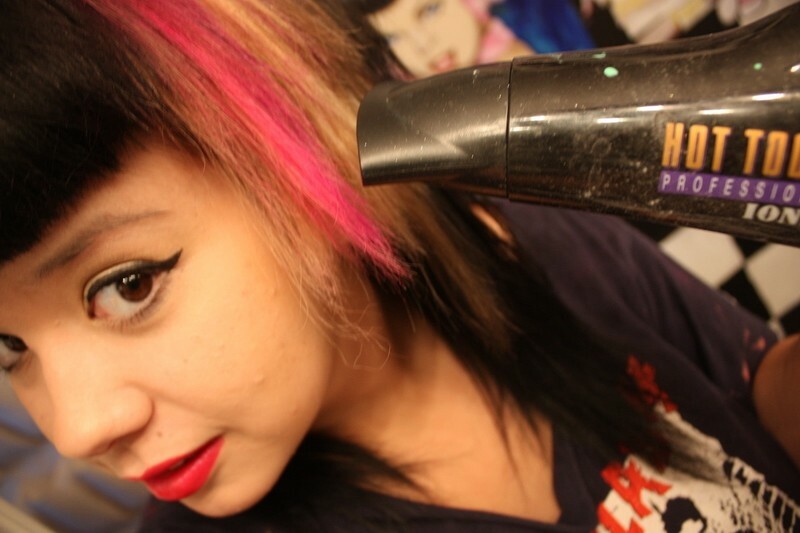 *stay away from thick or non leave-in products, because the can cause your hair to look greasy, or 'crispy'. Mix the combination well. You should have a liquid-like consistency. 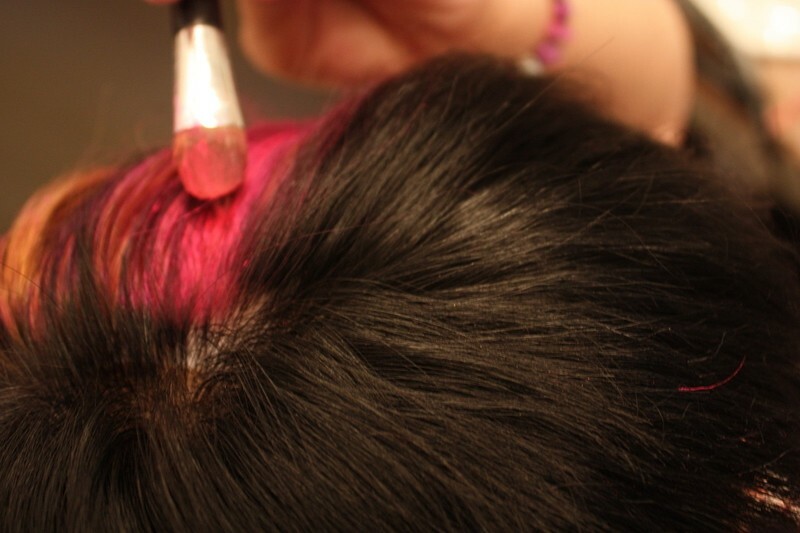 Take a small eyeshadow brush (or your finger) and sparingly brush onto the areas of your hair that you want colored. Wait a few minutes for the product to dry, or you can use a blow dryer on cool setting. 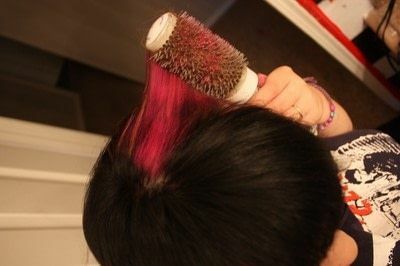 Once your hair is some-what dry, take a brush through your hair to remove any color clumps, and to let it blend in. omg this helped so much thx....but can i doit with brown-blackish hair???? does this work with dark hair? This is way cute! Thanks for the directions and idea. I am sooooo doing this for Halloween! 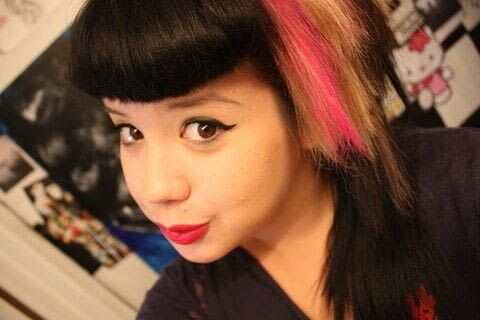 if you have darker hair, like medium brown do you have to bleach your hair to make this work? 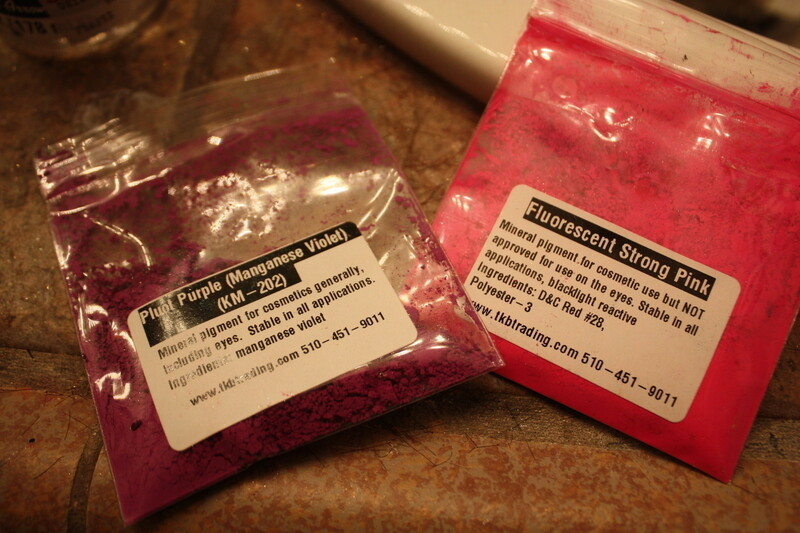 Yes, cream works as well, just use more pigments.